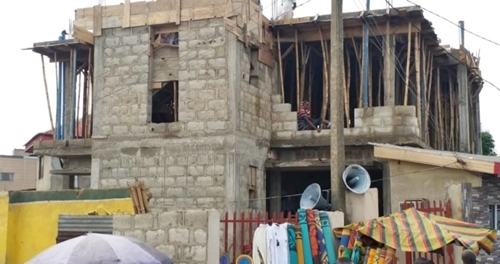 A million Naira has been donated to the Muslim Community by the Senior Pastor of Peniel Church of God in Calabar, Apostle Essien Ayi, to facilitate the completion of a central mosque and Islamic Centre in the Cross River State capital. The cleric who represents Akpabuyo/Bakassi/Calabar-South Federal Constituency in the House of Representatives, said Nigerians should be their brothers’ keepers, irrespective of religion. The federal lawmaker, who made the cash donation at Gbogobiri, a Hausa settlement in Calabar, said the gesture was also to appreciate the support he has enjoyed from them. He said, “Every human being whether Christian or Muslim believes in God, the creator. The religion may be different. The mode of practicing may be different, but it is tilted towards one being, which is God. “Also the Muslim society has been very supportive of me right from when I was chairman and they informed me that their former mosque had been demolished and they are trying to erect a new and befitting mosque. According to The Nation, head of the Hausa Community, Sarki Lawan, who spoke through the Secretary of the Mosque Committee, Hashimu Abubakar, expressed gratitude for the N1 million donation, which he said would go a long way in the completion of the project. “We are very happy. We appreciate his concern about coming here to give us his donation. This is the first time it has ever happened. He donated N1 million and we assure him the money would be put to use. The name of the mosque is Central Mosque and Islamic Centre in Calabar.